Alginate is used to make a negative of the face. Alginate on itself is not strong enough and too flexible to hold it's own form so it should be backed up with a a couple of layers of plaster bandage or Varaform. If you want to make multiple casting you should consider Skin Safe Silicones for the negative of the face. 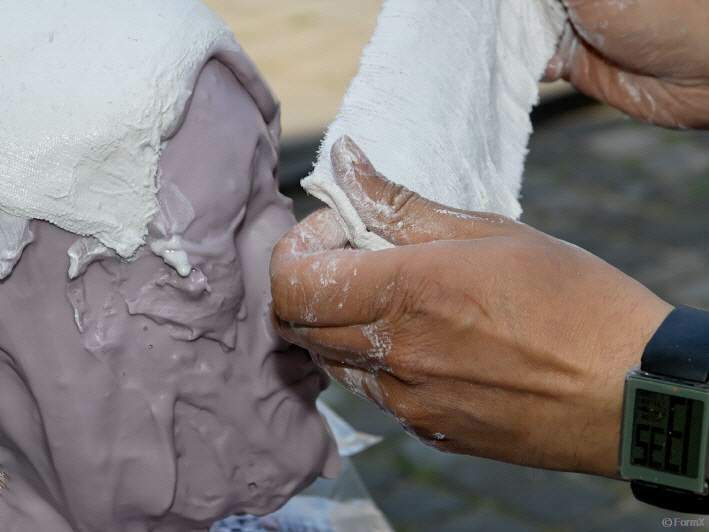 Plaster Bandage is used to make a mother mold over an Alginate or Body Double mold. Plaster bandages can also be used to make a lifecast of the whole body on its own without the use of alginates or such. The detail is considerably less though. After the alginate powder is thouroughly mixed with water you have a few minutes working time before it sets. The working time is influenced by the (water) temperature and the mixing ratio. 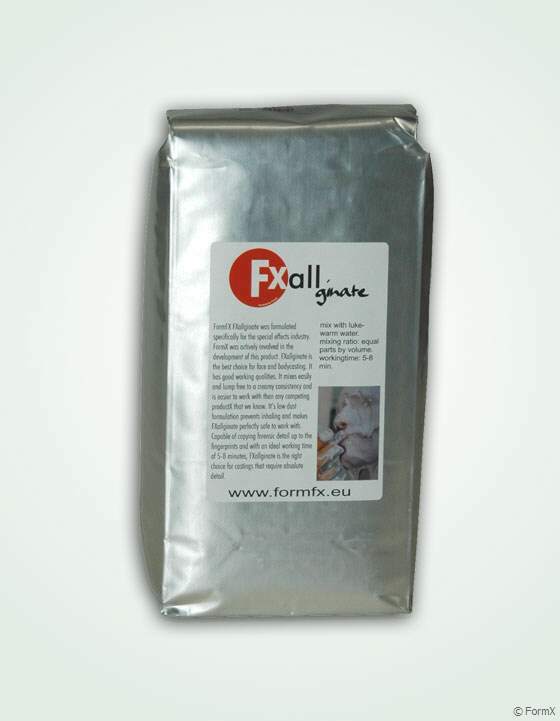 Our FormFX lifecasting alginate is, contrary to dental alginates, specially formulated for making body casts and gives you a longer working time. Mix small batches at a time. Take care to put the model at ease and DO NOT BLOCK THE NOSTRILS !! !